Although vitamin and other nutrient deficiencies that cause disease are uncommon in most Americans, certain populations are still at risk for true deficiency of certain #vitamins and minerals. “For instance, vegans may be deficient in vitamin B12, older adults in Northern areas may be deficient in vitamin D, and alcoholics may be deficient in folate, thiamine and others,” says Kathleen Fairfield, M.D., Dr.P.H., a director at the Maine Medical Center and author of a review on vitamins and minerals appearing in the Journal of the American Medical Association. Why You Need It: Vitamin D is unique in that it’s found in food but can also be made in your body after exposure to ultraviolet (UV) rays from sunlight. The major biologic function of vitamin D is maintaining normal blood levels of calcium and phosphorus. By promoting calcium absorption, vitamin D helps to form and maintain strong bones. It also works in concert with a number of other vitamins, minerals and hormones to promote bone mineralization. Vitamin D is associated with decreased occurrence of fractures when taken with calcium. Who Needs It Most: As people age, the skin cannot synthesize vitamin D as efficiently, and the kidneys are less able to convert it to its active hormone form. As many as 30 percent to 40 percent of older adults with hip fractures may be deficient in Vitamin D. Therefore, older adults may benefit from supplemental vitamin D. Vitamin D deficient diets are also associated with milk allergies, lactose intolerance and strict vegetarianism. People with limited sun exposure, such as homebound individuals and people living in Northern latitudes that get little sun certain times of year, may also be deficient. How Much You Need: 5 micrograms (ug) (200 IU) for men and women ages 19-50; 10 ug (400 IU) for men and women over age 50. Tolerable Upper Level: 50 ug (2,000 IU) for men and women. If You Don’t Get Enough: Inadequate vitamin D causes rickets in children or osteomalacia in adults, two forms of skeletal disease that weaken bones. Getting enough: Vitamin D can be difficult to obtain from natural food sources, so your best option might be fortified foods and adequate sunlight exposure. Why You Need It: Iron is an essential mineral necessary for the formation of hemoglobin, which carries oxygen in the blood, and myoglobin, which carries oxygen in muscle tissue. It is also essential for the regulation of cell growth and differentiation. Who Needs It Most: Those at highest risk for iron deficiency are infants, teenage girls, pregnant women and the elderly. How Much You Need: Men: 8 milligrams; women: 18 mg.
Tolerable Upper Limit: 45 mg. If You Don’t Get Enough: Iron deficiency limits oxygen delivery to the cells, resulting in fatigue, poor work performance, decreased immunity and, during childhood, difficulty in maintaining body temperature. On the other hand, excess amounts of iron can result in toxicity and even death, but this is extremely rare. Getting Enough: The best sources of iron include liver, clams, oysters, pumpkin seeds and fortified cereals. In general, dietary iron is absorbed poorly, although animal sources (including poultry, red meat and fish) seem to be better absorbed. Plant sources include dried fruits, leafy green #vegetables, nuts, legumes and whole-grain products. Why You Need It: Vitamin B12 is necessary for normal processing of carbohydrates, proteins and fats for the production of certain amino acids and fats and for maintenance of healthy nerve cells and red blood cells. It is also required to make DNA, the genetic material in all cells. Who Needs It Most: Older adults and vegetarians may benefit from a vitamin B12 supplement or an increased intake of foods fortified with vitamin B12. Up to 30 percent of adults 50 years and older may have atrophic gastritis, a condition that decreases absorption of B12 from food. They are, however, able to absorb synthetic B12 added to fortified foods and dietary supplements. How Much: 2.4 ug for men and women. Tolerable Upper Limit: None has been established because there is a very low risk of achieving toxic levels of B12. If You Don’t Get Enough: Characteristic signs, symptoms and health problems associated with B12 deficiency include anemia, fatigue, constipation, sore tongue or mouth, loss of appetite and weight loss. Deficiency also can lead to neurological changes such as numbness and tingling in the hands and feet, as well as difficulty maintaining balance, depression, confusion, dementia and poor memory. If left untreated, damage from vitamin B12 deficiency may be permanent. 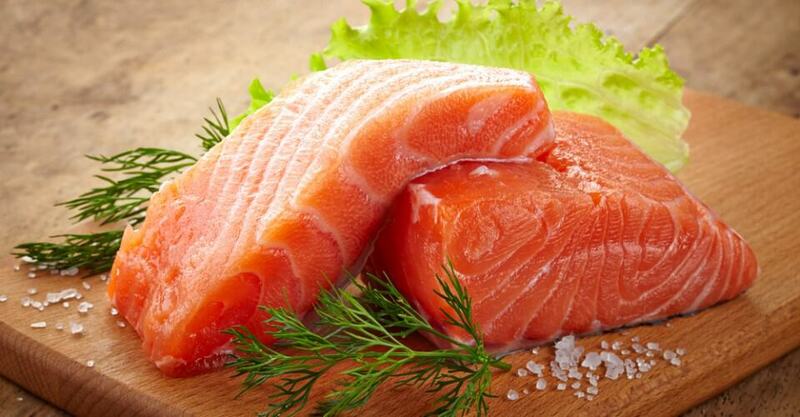 Getting Enough: B12 is found naturally in animal foods such as meat, poultry, fish, milk, dairy products and eggs. But steer clear of fast-food and red meat options that pack a lot of calories and unhealthy saturated fat. You can also get B12 nowadays from fortified cereals. Why You Need it: The B vitamin folate (also called folic acid) is widely known for its role in reducing the risk of certain serious birth defects, such as spina bifida, which is why it’s so important that women of childbearing age get an adequate supply. But it has many other important functions as well. Folate helps the body form genetic material (DNA) and blood cells and may reduce the level of the amino acid homocysteine, which has been implicated in cardiovascular disease. One recent study has also shown that folate may prevent mental decline as we age. According to a recent report in the American Journal of Clinical Nutrition, folate may protect against cognitive decline in older adults. Who Needs It Most: The critical time for adequate folate is the first few weeks of pregnancy when many women are unaware they are pregnant. So it’s important for all women who could become pregnant to get in enough folate. How Much You Need: 400 ug for men and women. Tolerable Upper Limit: 1,000 ug. Getting Enough: Folate is naturally found in beans and peas, oranges, orange juice and especially in deep-green leafy vegetables such as spinach and broccoli. The synthetic form of folate, folic acid, is added to breads, cereals, flours, corn meal, pastas, rice and other grain products in the United States, making them good sources as well.